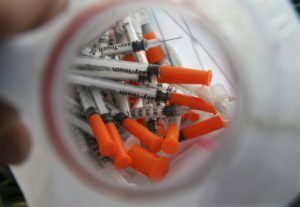 A major study released Wednesday found that the sharpest increase in heroin use and addiction was among young, white men with lower education and income levels. The findings come as much of the focus surrounding the opioid crisis has been on the mortality rates among middle-aged white women since the turn of this century. But researchers now say younger white men are being hit even harder – at least by heroin. In fact, men ages 25 to 44 accounted for the highest heroin-related death rate (13.2 per 100,000) in 2015 – a 22 percent rise from the previous year, according to the Centers for Disease Control and Prevention. Silvia Martins, the lead author of the new study, said increases in heroin use and addiction may be related to several factors, including prescription opioid abuse and market forces that favor cheaper alternatives to pills – such as heroin.